AMK9 is committed to excellence in both our K9 detection services and the treatment of our working dogs. 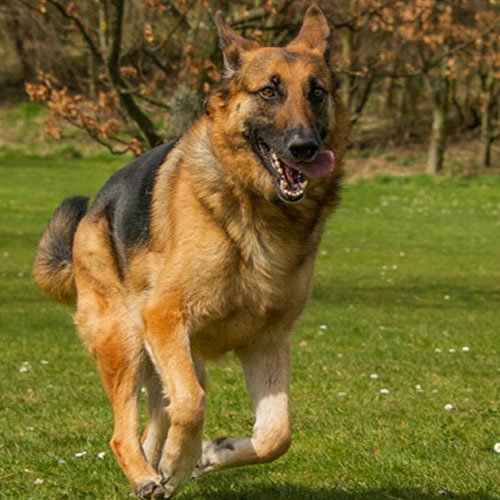 It is imperative that we work with canines that are able to meet our performance standards, for the sake of safety of both our clients and our dogs. As working dogs age, their endurance and enthusiasm naturally wanes. Because we understand this, it AMK9 has made a commitment to ensure the richest quality of life for our canines, even after their working career is over. AMK9 enrolls each retired dog into our adoption program, and an independent advisor screens and carefully selects suitable homes and families. Our goal is to ensure a loving and safe retirement for our distinguished K9 veterans. For more information regarding the adoption of retired AMK9 working K9s and/or military working K9s, visit the K9 Hero Haven site. In 2013, AMK9 collaborated on a huge endeavor: to bring 92 contract working dogs from the Middle East back home to the US. The incredible amount of logistical planning, man hours, care and attention that went into this move was unlike any that had been done before. The safety and welfare of the dogs who were responsible for protecting us overseas was the highest priority, regardless of cost and time. This story is only one of many that embodies the spirit and values of everyone involved at AMK9. The desire to do the right thing, even when it isn’t the easiest thing, is the basis of our K9 Adoption Program. Find out more about bringing home the 92 dogs (and meet some of the adoptees!) in our video, “Coming Home”.